Half of Fortune 500 Companies Weren't Protected. Are You? You might think that Fortune 500 companies and government agencies are bulletproof when it comes to protecting their information. But the recent revelation that at least 250 Fortune 500 companies and 27 of 55 government agencies had at least one computer infected with DNS Changer shows that even the biggest organizations are vulnerable to information theft. DNS Changer is a type of malware that widely affected computers in the U.S. and around the world. It allows criminals to redirect users from a safe website to an insecure webpage, leaving the user’s information exposed. As you can imagine, stories like this become even more troubling for business owners, who are also charged with protecting clients’ information, as well as their own. The lesson here is that if the world’s largest organizations can be attacked by these types of malware, so can yours. It’s just another reminder that regularly running security updates to make sure all of your organization’s computers are protected is essential. With PRONETS Managed Services Plans, you can rest assured that your patches, updates, and security are all up to date so you don’t have to worry about these types of attacks. 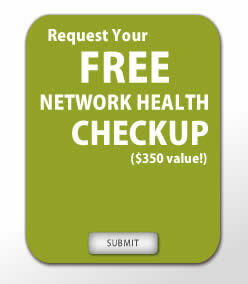 We have plans to fit any business budget, so call us today to schedule your FREE network diagnostic health report at 276-236-8226 ext. 1006. In order to succeed, almost everyone—whether business owner or employee—must be memorable. While you don't have to be The Most Interesting Man in the World, being known is one of the main goals of marketing, advertising, and personal branding. Out of sight is out of mind, and out of mind is out of business. But if your only goal is to be known for professional reasons, you're missing out. People who are memorable for the right reasons also live a richer, fuller, and more satisfying life. Win-win! So forget the flashy business cards and personal value propositions and idiosyncratic clothing choices. Here's how to be more memorable—and have a lot more fun. Can you speak intelligently about how clothing provides a window into the inner lives of Mad Men characters? Do you find yourself arguing about how the degree of depth lost in the Game of Thrones TV series as compared to the books? Anyone can share opinions about movies or TV or even (I'll grudgingly admit) books. That's why opinions are quickly forgotten. What you say isn't interesting; what you do is interesting. Spend your life doing instead of watching. You're incredibly focused, consistently on point, and relentlessly efficient. You're also really, really boring. Remember when you were young and followed stupid ideas to their illogical conclusions? Road trips, failing the cinnamon challenge, trying to eat six saltine crackers in one minute without water... you dined out on those stories for years. Going on "missions," however pointless and inconvenient, was fun. In fact the more pointless the more fun you had, because missions are about the ride, not the destination. So do something, just once, that adults no longer do, or do something no one else thinks of doing. Ride along with a policeman on a Friday night. Pick something it doesn't make sense to do a certain way and do it that way. You'll remember it forever—and so will other people. People care about—and remember—people who care. When you stand for something you stand apart. People who brag are not remembered for what they've done; they're remembered for the fact they brag. Do good things and other people will find out. The less you say, the more people remember. 6. Get over yourself. Most of the time your professional life is like a hamster wheel of resume or C.V. padding: You avoid all possibility of failure while maximizing the odds of success in order to ensure your achievement graph climbs up and up and up. Inevitably, that approach starts to extend to your personal life too. Personally and professionally, you feel compelled to maintain your all-knowing, all-achieving, all conquering image. And you're not a person. You're a resume. Stop trying to seem perfect. Accept your faults. Make mistakes. Hang yourself out there. Try and fail. Then be gracious when you fail. When you do, people will definitely remember you because people who are willing to fail are rare... and because people who display grace and humility, especially in the face of defeat, are incredibly rare.